James “Skip” Sullivan defended his client in a Cherokee County DUI case through a jury trial. Our client was found Not Guilty of all charges by a Cherokee County jury. A Cherokee County Sheriff’s Deputy was parked at the entrance of an elementary school in Cherokee County monitoring traffic at an intersection. Our client approached the intersection and made a wide right turn – crossing the double yellow line. She also failed to maintain her lane a few times. A traffic stop was conducted by the Cherokee County DUI officer and a DUI investigation began. Our client admitted to drinking alcohol and even admitted to not being safe to drive. She was also in a state of emotional distress and did not perform well on field sobriety evaluations. She was arrested and agreed to a breath test, but changed her mind when she got to the jail. The deputy obtained a search warrant for blood and two emergency medical technicians drew her blood at the jail. When the blood samples arrived at the Georgia Bureau of Investigation’s Division of Forensic Sciences, there was an insufficient amount of blood to test. Mr. Sullivan took the case to a jury trial for his client and obtained a not guilty verdict on all charges – including the wide right turn and failure to maintain lane charges (that were on the video). Our client was found passed out at an intersection in Hapeville, Georgia. A concerned citizen called 911 and the Hapeville Police responded. After banging on the window for a while, our client woke up and exited the vehicle. He smelled of alcohol and a DUI investigation was conducted. The Hapeville police officer scored inconsistent results with the Horizontal Gaze Nystagmus evaluation (indicating the officer did not administer the test in accordance to National Highway Traffic Safety Administration guidelines). Our client did poorly on the Walk and Turn evaluation and the One Leg Stand evaluation. Once placed under arrest, he refused to the state administered breath test and a license suspension action was initiated. Skip Sullivan was hired to avoid a DUI conviction in Hapeville for his client. Mr. Sullivan not only avoided a one year suspension of our client’s driver’s license, but was also able to negotiate a dismissal of the Hapeville DUI charge in exchange for a plea to Reckless Driving in Hapeville Municipal Court. if you are charged with a Hapeville DUI, or have been arrested for a DUI anywhere in Georgia, contact Skip Sullivan at Chestney & Sullivan today at 404.816.8777. Skip Sullivan represented a client that was travelling from Savannah to Atlanta on Georgia Highway 16. His client was clocked speeding at about 100 mph and was pulled over. After smelling alcohol on our client’s breath, the Twiggs County Sheriff’s Deputy began a DUI investigation. The deputy did not follow his training on the Horizontal Gaze Nystagmus evaluation and our client did reasonably well on the Walk and Turn and One Leg Stand evaluations. When arrested, our client was read the Georgia Implied Consent Notice and refused the deputy’s request for a breath test as our client wanted the more accurate blood test. Mr. Sullivan sent the DUI case out of Twiggs County Probate Court to Twiggs County Superior Court to preserve our client’s right to a jury trial. He was able to to convince the prosecutor that the Twiggs DUI charge was weak and the DUI was dismissed in exchange for a plea to Reckless Driving. Our client lived out of state and never had to set foot in court. James “Skip” Sullivan represented a person charged with a DUI in Austell after he drove his car up on the railroad tracks right next to the Austell Police Department. Our client was very cooperative with the Austell DUI officer throughout the DUI investigation. Due to the weather, the only field sobriety evaluation that was done was the Horizontal Gaze Nystagmus evaluation. Our client was then arrested and read the Georgia Implied Consent Notice. He agreed to take the state administered breath test on the Intoxilyzer 9000 and blew a .164 – twice the legal limit here in Georgia. Mr. Sullivan was able to convince the prosecutors in Austell Municipal Court that they would be in for a long court battle in Cobb County State Court over the admissibility of the breath test. The prosecutors agreed to dismiss the DUI in exchange for a negotiated plea to Reckless Driving and Basic Rules. James “Skip” Sullivan represented a driver charged with a DUI in Atlanta, where his client ran a red light and almost collided with another vehicle. The driver of the other vehicle called police and followed our client, who stopped in front of an Atlanta Police precinct. A DUI investigation was conducted by an Atlanta police officer, where the officer observed major damage to our client’s car. Our client could not recall how the damage got there or when it happened. Our client was arrested and charged with DUI. Mr. Sullivan decided to move the DUI case out of Atlanta Municipal Court over to Fulton County State Court for a jury trial. Mr. Sullivan believed our client’s due process rights were violated as our client was never read the Georgia Implied Consent Notice, nor was he afforded the opportunity to submit to a chemical test. The prosecutor in Fulton County State Court agreed and dismissed the DUI charge in exchange for a plea to Reckless Driving. If you or a loved one have been charged with a DUI in Atlanta, Fulton County, or anywhere in Georgia, call the experienced DUI trial attorneys at Chestney & Sullivan today at 404.816.8777. James “Skip” Sullivan represented a client in Marietta Municipal Court for a DUI stemming from a single car rollover accident. Our client was coming home from an Atlanta Braves game at SunTrust Park when he lost control of his vehicle and overturned it on the property of a car dealership. Marietta police responded and had our client perform field sobriety evaluations – which he did not do well. He also had a visible cut on his knee that EMS attended to. The field sobriety evaluations were not administered by the Marietta DUI officer in accordance to NHTSA standards. Upon arrest for his DUI, our client refused to submit to the state breath test at the jail. Mr. Sullivan was able to convince the Marietta DUI prosecutor that because of the accident and the poor instructions by the officer in administering field sobriety evaluations, nobody would have done well on the evaluations. The prosecutor agreed and the Marietta DUI was dismissed for a negotiated plea to Reckless Driving. If you are facing a DUI in Marietta, Cobb County, or anywhere in Georgia, call Chestney & Sullivan today at 404.816.8777. James “Skip” Sullivan represented a Georgia CDL driver that was arrested for a DUI in Atlanta. Atlanta officers responded to a 911 call about a person passed out behind the wheel of a car in a residential neighborhood. When Atlanta Police arrived, they found our client passed out behind the wheel while the engine was still running. Our client’s speech was slurred and he thought he was in a different state when asked. Our client also almost fell over during field sobriety evaluations and refused a roadside portable breath test. Mr. Sullivan need to with this case as this was his client’s second DUI arrest and if convicted, his client would lose his commercial driver’s license for life. A “special teams” defense was deployed, including filing a speedy trial demand in Atlanta Municipal Court before the case was sent to Fulton County State Court for trial. Mr. Sullivan also set up a constitutional due process issue as our client was not read the Georgia Implied Consent Notice at the time of his arrest that would have informed him, among other things, of his right to an independent test. After an almost two year delay in the filing of this case in Fulton County, Mr. Sullivan’s motions were set up perfectly for the Fulton judge to rule in our favor – even when the actual facts of our case were bad. On the day of motions and trial, the Fulton County prosecutor failed to get their witnesses in court after issue was joined for a bench trial and the judge declared our client not guilty. Planning and preparedness for whatever may come our way in court is what sets Chestney & Sullivan apart from other DUI law firms. Even if the officer showed up, we were prepared to argue motions that we stood an excellent chance of winning. Call Chestney & Sullivan today to discuss your DUI charges at 404.816.8777. In a must win situation to avoid a DUI conviction in Columbus, Georgia, James “Skip” Sullivan – partner with Chestney & Sullivan Law Firm, was able to successfully navigate an administrative license suspension action and avoid a DUI conviction for his client. Our client was stopped for speeding by a Georgia State Patrol Trooper in Muscogee County, Georgia. A DUI investigation followed where our client did not perform well. He was arrested and refused the state breath test after the implied consent notice was read. An administrative license suspension action was initiated by the trooper, were our client faced a one year suspension of his Georgia driving privileges for refusing the state breath test. There is no permit if his license was suspended. Mr. Sullivan was able to avoid the one year suspension of his client’s driving privileges and the trooper was not going to get in the way of negotiations with the prosecution. We developed a plan for our client to but him in the best possible light for negotiations with the prosecution and Mr. Sullivan was able to negotiate a plea to Reckless Driving. The DUI and Speeding charges were dismissed. James “Skip” Sullivan took over a Chamblee DUI case from another law firm that was transferred to DeKalb State Court for a jury trial. Our driver was stopped by a Georgia State Patrol Trooper (Nighthawks), for speeding and failing to fully stop before a stop bar at a red light (vehicle was past the stop bar into the intersection). When the trooper initiated his emergency equipment, our client pulled into the nearest gas station and stopped. Apparently our client had to use the rest room pretty bad, but was stopped by the trooper for a DUI investigation. After realizing that our client really did have to use the rest room, he was allowed to do so. Then the Trooper had him perform field sobriety evaluations, which our client did poorly (still complaining his stomach hurts). He was arrested for DUI but refused to be handcuffed, resisting arrest. Once under arrest, our client refused to submit to a state breath test. The prosecutor refused to negotiate a lesser charge, so Mr. Sullivan took the case to jury trial. The jury found our client not guilty of DUI, not guilty of speeding, guilty of the Obstruction of a Law Enforcement charge, and a mistrial was declared on the Red light charge (jury could not reach a unanimous verdict on that charge). Although we received a guilty verdict on the Obstruction of a Law Enforcement charge, the DeKalb judge agreed with Mr. Sullivan that the First Offender Statute applied even after a jury verdict if the client decides to use it and the judge accepts it, meaning if the client completes his sentence requirements successfully, the Obstruction charge would be dismissed without a conviction! 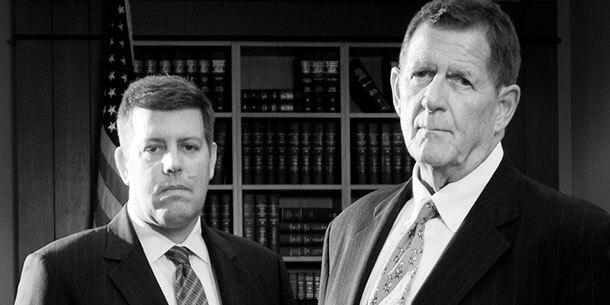 if you are charged with a DUI or a serious traffic or criminal offense, call Chestney & Sullivan today at 404.816.8777. Mr. Sullivan or Mr. Chestney would be happy to discuss your case with you. James “Skip” Sullivan represented a driver who was stopped in the Buckhead section of Atlanta for failing to stop at a red light and speeding by a Georgia State Patrol Trooper (Nighthawks) In addition to the bad driving, our client also had slurred speech and red, bloodshot eyes. After being asked to exit his vehicle multiple times, he refused to exit his vehicle when finally ordered to do so by the Georgia State Trooper. He was then forcibly removed from the vehicle and placed under arrest for a DUI in Atlanta and Obstruction of a Law Enforcement Officer. The Trooper misread a portion of the Georgia Implied Consent Notice and our client refused to submit to a state breath test. Mr. Sullivan took the case out of Atlanta Municipal Court and demanded a jury trial in Fulton County State Court. After multiple hearings, including an administrative license suspension hearing, the Fulton County State Court prosecutors decided to dismiss every charge except for speeding, to which our client paid a nominal fine with no other conditions attached.